HdV is a venture between the Hyde Family of Napa Valley and the de Villaine Family of Burgundy. The families, related by marriage, share long histories in French and Californian winemaking. In HdV, we have brought together our knowledge and experience for the purpose of creating single vineyard wines from the slopes of Hyde Vineyards. 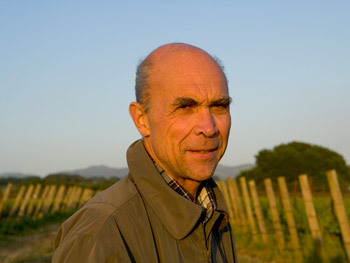 Aubert de Villaine, married to the Hyde’s cousin Pamela F. de Villaine, is one of Burgundies most recognized individuals. As the proprietor of his own wine, A. & P. de Villaine, and as co-director of Domaine de la Romanée Conti, Aubert has spent his years carefully studying every nuance that might enhance his viticultural and enological practices. 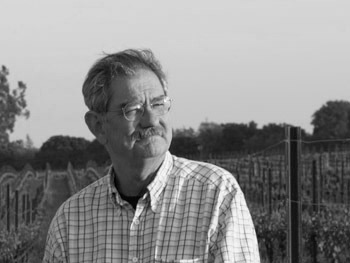 Born and raised deep in the rich traditions of Frances greatest winemaking techniques, Aubert brings to the partnership the foundation upon which the venture basis its theories and practices. Though tradition and history may run heavily in his veins, his uncompromising desire to experiment and learn has brought him to the Napa Valley to work with his cousins. Born in 1945 into one of the oldest farming families, Larry Hyde came to the Napa Valley more than 40 years ago with a great love of wine and the soil. Larry was raised in Woodside, CA, on his family’s five-acre property. Larry’s father used to take him to Visalia in California’s Central Valley, where the family owned cotton, melon and alfalfa fields, further fueling his love of agriculture. Larry first attended the University of California, Berkeley, before moving onto the University of California at Davis, to study chemistry. Larry got his first wine industry job as a vineyard worker at Ridge Vineyards in 1970. In 1977, Larry left his job as a cellar worker at Joseph Phelps to purchase and transform the Carneros soils into what is now known as Hyde Vineyards. Over four decades later, Hyde Vineyard has become renowned for the unique expression of its Carneros terroir. R. E. (Rick) Hyde, Co-Founder and President of HdV Wines, continues a tradition in agriculture as the seventh generation of one of the oldest farming families in California. With wine-making roots that date to the early 1800’s, Rick has spent the last twenty years involved in the development and management of different vineyard and winery projects. Rick resides in the Pacific Northwest with his wife, Rachel, and young daughters, Caroline and Colette. Guillaume joined Hyde de Villaine as a harvest intern in the summer of 2013 and was promoted to Associate Winemaker in 2015. Guillaume works closely with Larry and Chris Hyde on all vineyard matters and reports to Aubert de Villaine on matters involving winemaking. Born in Bordeaux and raised in Toulouse, France; his passion for wine was first initiated at a young age by his grandfather, who worked as a Cooper with many of the first growth Chateaux’s of Bordeaux. 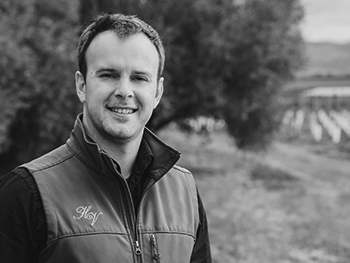 Guillaume earned his master’s degree in agricultural engineering, then pursued a degree in winemaking and viticulture from the University of Bordeaux while working for ultra-premium wineries in the Sonoma Coast and Bordeaux. Guillaume believes strongly in terroir-driven winemaking, which emphasizes the many qualities of Hyde Vineyard, with minimal manipulation in the cellar. 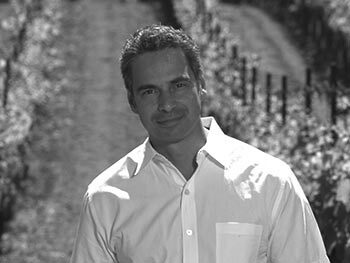 Joining our venture in 2002, Stéphane brings with him skills in vineyard management and winemaking from around the world. Born and raised in France, Stéphane’s skills were cultivated in the vineyards and cellars of Pommard, Meursault, and Chassagne-Montrachet followed by work in Switzerland, New Zealand, and the Sonoma Coast. With a strong background in biochemistry and advanced degrees in enology and viticulture, Stéphane turns his focus toward the vineyards and the soils to develop his wines. 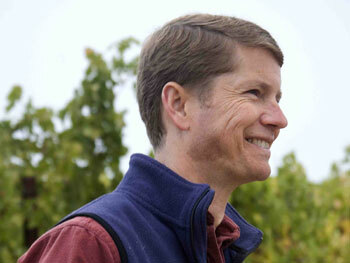 Stéphane works closely with both Aubert and Larry to adapt and implement only the strictest viticultural and vinification techniques of France to the fruit of Hyde Vineyards. James Eyer joined the Hyde de Villaine team as General Manager in 2014. Raised and educated in the Napa Valley, James has worked in the food and wine industry for the last 15 years. In 2005, James received his undergraduate degree in history from Pacific Union College. Eight years later, he earned his Master’s in Business Administration, with a focus on the Wine Industry, from Sonoma State University. As the head of the extraordinary team at Hyde de Villaine, it is James’ vision that Hyde de Villiane be globally recognized as California’s benchmark Chardonnay producer. 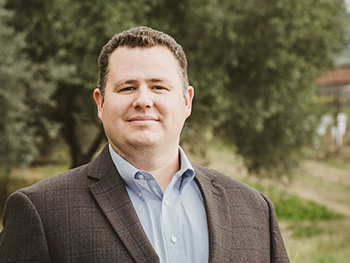 James lives in his hometown of St. Helena California with his wife, Brittany, and two sons, Daniel and William. HdV is a family venture between Hyde Vineyards of Napa Valley and Aubert & Pamela de Villaine of Burgundy, France. Aubert de Villaine, married to the Hyde’s cousin Pamela F. de Villaine, is one of Burgundy’s most recognized individuals. Born and raised in the rich traditions of France’s greatest winemaking techniques, Aubert brings to the partnership the foundation upon which the venture bases its theories and practices. Larry Hyde came to the Napa Valley over forty years ago with a great love of wine and the soil. In 1979, Larry left his job as an apprentice at some of Napa’s finest wineries to purchase and transform the Carneros soils into what is now known as Hyde Vineyards. Twenty-five years later, Hyde Vineyards has become renown for the unique expression of its Carneros terroir. Joining our venture in 2002, our winemaker, Stéphane Vivier, brings with him skills in vineyard management and winemaking from around the world. Born and raised in France, Stéphane’s skills were cultivated in the vineyards and cellars of Pommard, Meursault and Chassagne-Montrachet and then expanded through his work in New Zealand and the Sonoma Coast Appellation. HdV is bottled under the coat of arms of the historic de la Guerra family from which Pamela de Villaine and the Hydes descend. The de la Guerra Family is one of the oldest winemaking families in California and traces its winemaking history back to a gold medal received at the 1876 Philadelphia Centennial Fair. The partnership feels that this coat of arms symbolizes the sense of tradition, family, and winemaking history that the new venture embodies in its philosophy.